It wasn’t always this easy. Like so many others who share a passion for baseball, I have been challenged by the initial revulsion at the idea of baseball by a girlfriend/spouse/life partner. You tell her you like baseball and she gives you that look like she just caught you flirting with her best friend. But there is hope. After many failed attempts, I have discovered a few easy steps to make sure your special someone will not only stop harassing you about baseball, but may even come to enjoy the sport you love so much. These steps mainly apply to women, but may also apply to men. I wouldn’t know – that’s not really my, um, thing. 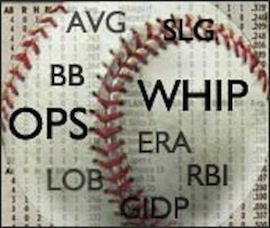 There are so many great things about baseball: the traditions, athletic skills, strategies, statistics, tension, anticipation and all the you-never-knows. Do not try to explain any of them to her. She’s been told a hundred times that she should love sports, but when someone explains why, they usually try to cram 10 or 20 years of knowledge into a 15-minute discussion. Guys hope that their passion alone will be enough to make her interested – and it never is. The woman you are with – or will be with once you finally sign up on Match.com – may be about the same age as you, but she most likely has not had the prolonged exposure to baseball that guys have. There’s just no way to guess what she might like about baseball. A wise man once said, “What might be right for you, may not be right for some.” It does, in fact, take different strokes to move the world. Yes, it does. You need to let her find the things that she likes about baseball. So, what do you do? The first thing to do is bring her to a game. No one is going to get interested in baseball while watching it on a TV. If you don’t have a major league team in your city, then take her to a minor league game. And if there are no minor league teams near you, then you are probably living in France, and that is a whole other problem. Getting her to the game might take some effort. You can entice her with “getting out” and “something different” and, of course, beer, hot dogs and cotton candy. If none of these work, she is a Communist. Leave her now. Don’t worry about where you’re sitting at the game. What you want to show her is the whole experience: the players, the crowd and, most importantly, the field. Women like parks, and baseball fields are really just the nicest parks in town, but with stadiums built around them – and no homeless people. Once you’re at the stadium and she is taking it all in, you have to get to work. It’s time to start creating positive associations with baseball. But you have to do it on a level that she can appreciate. You need to personalize the game for her. Women of all ages love to chitchat about personal stuff. This is where they are weakest and this is where we strike. It will take some research, but it is time well spent. Make A-Rod and Cameron's relationship a regular dinner-table topic. Know who the players are dating or have dated. It might be boring to you, but women are fascinated that Alex Rodriguez and Cameron Diaz are a couple or that Matt Kemp dated Rihanna or that Alyssa Milano has an insatiable appetite for ballplayers. Know which players have had personal tragedies. Sick kids. Dying grandparents. Kidnapped siblings. It may sound vulgar to bring these up for your own personal ends, but this gets the ladies right in their soft insides. Be prepared to improvise. If she wants to leave early, do so. If she’s cold, give her your jacket – or buy her one. If she’s eyeballing your ice cream sandwich, let her have it. You don’t want her to think of the game as that freezing cold night that went on forever where she was starving. When you get home from the game, there’s still more work to do. At first, the task is not making them like the game, but rather, making sure they don’t dislike the game. So, you must avoid negative associations with baseball. If you’re watching the game on television and she walks in and asks, “Are you watching this?” Don’t reply, “Of course I am, crazy lady! My eyeballs are pointed right at the TV.” Just casually say that you weren’t really that interested in watching it and she can change the channel if she wants. She is probably missing a really important episode of The Real Housewives. Let her watch it. You can track the game online or on your smart phone. If you don’t have a smart phone, get one. If you don’t have the Internet, then you are not reading this article. A few other tips: Don’t talk to her about fantasy baseball. Don’t show her your baseball card collection. These can wait. Don’t listen to the game (or any sports talk radio) with her in the car. Don’t play baseball video games with her around. And if you’re going to a bar to watch the game, tell her you’re just hanging out with the fellas. Anything from Alyssa Milano's line of women's fan apparel should help your significant other get into the swing of things. The trick is to make her think that you aren’t completely obsessed with baseball – even if you are. There’s no way she can understand this sort of devotion – yet. So, there’s no reason to creep her out about the whole thing. You must buy her team-related apparel. Pink hats. V-Necks. Three-quarter Sleeves. Tank tops. There’s so much to choose from. But, don’t get anything with too much information, like a League Championship Series shirt. People may start asking her questions when you’re not around, and she won’t have the answers and she will hate you and baseball. Also, watch out for too much artwork – she doesn’t want to look like the side of a ’70s van. I assume I don’t have to explain the passion that women have for their “cute little outfits.” It’s something they have spent years pursuing, and men generally don’t have the same obsession and devotion to clothing that women have. Just remember that this is a gradual process. You don’t need her to love baseball the way you do. But with these steps, you can get her to enjoy the game in her own way. And, someday, in the not-too-distant future, she’ll sit down on the couch and want to know who’s winning. I think the difference is that baseball CAN BE enjoyed by your special lady. And it’s the negatives that get in the way of them seeing the majesty of the sport. There is no majesty in knitting, Avon or Desperate Housewives. Though I’ve always been strangely fond of Hugh Grant’s work. @jed I may have to sit down and figure out a guide for women who date men who don’t like baseball. It’s a little disconcerting to hear about these poor, misguided freaks. Over the years I have seen women knit, sell Avon and reading romance novels. If you have to go through all these hula hoops to get whomever to share your passion for baseball, be prepared to share their passion for Desperate Housewives and watching Hugh Grant marathons. Some things in your life are best kept separate. @Jed Rigney But you at least *thought* it, right? I assume divorce is not really an option? So, then we have to get clever to make this guy see the light. The same basic principles apply: create positive associations between baseball and things he likes, while removing or preventing negative associations. If he loves football, show him some highlights of home plate collisions. If he loves basketball, only talk about the high-scoring games of the day. If he loves soccer, you might really want to look at the divorce thing. I have the opposite problem: my husband doesn’t like baseball. Many of your suggestions refer only to enticing women ito like baseball, and are totally irrelevant to winning over recalcitrant men. Got any ideas? Novel: “Contract year, A Story of Love and Baseball,” to e published soon. @JackieMic Now if you ever want to have soccer explained to you, I’ll buy you a Milan jersey from Touch and we can discuss who Cristiano Ronaldo is dating. @Jed Rigney Don’t know where you’re hanging Jed, but I know tons and tons of women who love baseball, football, basketball and hockey; in fact, when I go to NY Rangers games there are always tons of women there and one of my friends, a lifelong Ranger fan, met her now husband at a game. And yes, there are also tons of men who hate sports of all kinds. Now if you ever want to have soccer explained to you, I’ll buy you a Milan jersey from Touch and we can discuss who Cristiano Ronaldo is dating. @susancastle For my wife, it plays a big role. She absolutely hates the girly pinks and sissified apparel, but loves the idea of “dressing up” (which is more like dressing down) for a game or a sports bar. She has been going to games with me for 18 years, and it wasn’t until after we went to the Mariners’ opening day this year that she asked me how they determine what a strike was. I thought we had covered it over the years, but nope. We spent 20 minutes going over it, and she kinda understands it. (We may have to sit behind home plate for a few games.) So, now I know why she spends more time people watching at the games than watching the games. But I’m not complaining. She loves going with me as long as she’s sporting her team-wear. The O’s used to have a pick your seat for 13 and 20 game plans. So I picked seats just under the mezzanine icase it rained she would.nt get wet and if the sun was brutel she had shade. She goes a few times a year with me, sometimes enthusiasticly and sometimes not. Kinda like we go to the mall. @Jed Rigney LOVED your comment about “living in France” being a “whole other problem.” Omg– too funny. And “she is a Communist. Leave her now.” LOL. You’re good. @susancastle Certainly there’s more work to do beyond these preliminary steps. But these lay the groundwork. Then it’s all about gradually showing them all of the little amazing things that make baseball great. And more cotton candy. I don’t know about this “tons” business – unless you’re just referring to the actual unit of weight. I certainly believe that there are a few girls out there who love baseball. I once met a girl who loved hockey. But, I imagine, you must come across guys that don’t like baseball (or worse: they love soccer). And these steps, somewhat modified, can help you help him. It’s NOT all about the apparel! The novelty of apparel will only last so long, and nine innings is too long for getting kicks out of your team gear. Teach your significant other about how to freakin’ WATCH the game– and she’ll be hooked. C’mon guys– give us women a little more credit! Teach her how to score the game, and she might buy tickets to take YOU. Jed- this piece was not condescending– it totally cracked me up! I know this was written with the best intentions and (I hope) tongue-in-cheek, but these pieces always end up sounding condescending, especially since there are tons of women of every ilk who love baseball and sports in general. And they would all tell you where to put that pink hat. @BlogFTBleachers Surprised she doesn’t make you keep it in the basement. @Jon Sumple @jljchatham She’s got to be one of the few. I almost died when my girlfriend asked me if she could go to a game. Obviously, I bought the apparel. It was a done deal. @Jed. really liked this piece. clever, witty, and very entertaining. the great thing about the game is that it makes room for so many. you can enjoy baseball on many different levels, and it’s still fun. @Jed Rigney You are a forward thinker. I like that. Ah, but the probable backlash from that comment would have set me back in my progress. because I love watching baseball. one of the best things on the planet. It’s all about the apparel. I make a point to hit the team store before the season starts and before the games we go to. My wife gets more excited about what people are wearing in the ballpark, but that’s okay because she likes going to games with me! Great job! This was really enjoyable and I think your “steps” are right on the money. My fiance never disliked baseball before we began dating, but she certainly didn’t like it as much as she now does. Much of what you said are things I went through initially – taking her to a game rather than just watching on tv, making her feel a part of the experience was key! And luckily she’s not bothered by my baseball card and autograph/memorabilia collection – as long as I agree not to display it all in our living room. Great article for a slow baseball day other than the Red Sox winning, which now-a-days is BIG news. I’ll never forget the day my special lady friend asked me, “How’s Big Papi doing?” —- I REALLLLLYYYY hope you made a sexual joke out of the answer. LOL.